Front Line Defenders’ 2016 report documents the attacks and violence against human rights defenders around the world. The Annual Report on Human Rights Defenders at Risk in 2016 shows that more than 1,000 human rights defenders were killed, harassed, detained, or subjected to smear campaigns and other violations this past year. The report honors the activists killed in 2016, of which there are 282 from 25 countries. About half of those killed were defending land, indigenous and environmental rights. Most of these cases were preceded with reported warnings, death threats and intimidation that police ignored. The violence and killing of human rights defenders is also shown to affect the community and social movements, leading to increased self-censorship, breakdown of activist networks, and many human rights defenders leaving the country. 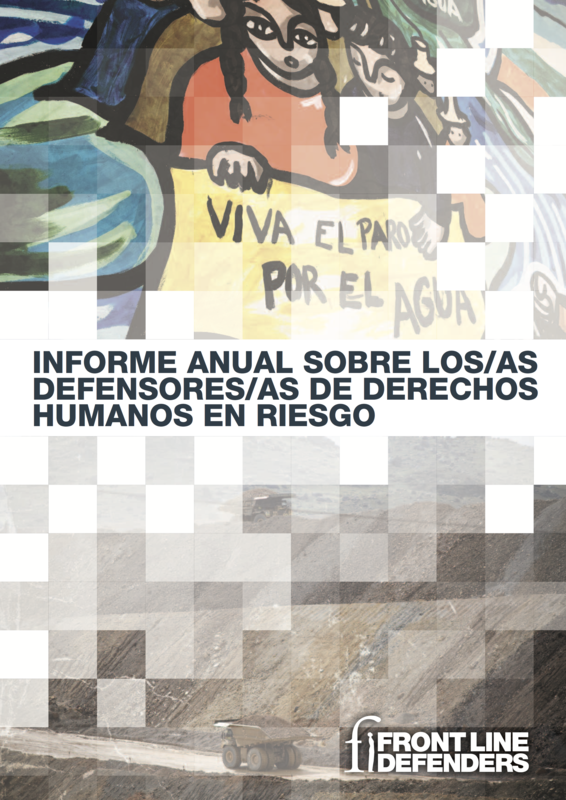 Furthermore, criminalization of human rights defenders was involved in over half of the cases in the report. Arbitrary detention, used as a tactic to silence activists and dissuade others, was widespread. The 2016 report also finds that Western Europe is not immune to human rights setbacks as organizations and activists assisting refugees saw increased harassment and were subject to smear campaigns. Countries who experienced terrorist attacks responded by restricting civil liberties and banned human rights defenders from assembling or demonstrating. Front Line Defenders and ESCR-Net are members of the Consortium leading ProtectDefenders.eu. This European Union human rights defenders’ mechanism works to protect defenders at risk around the world, many of whom face the human rights violations described in this report.